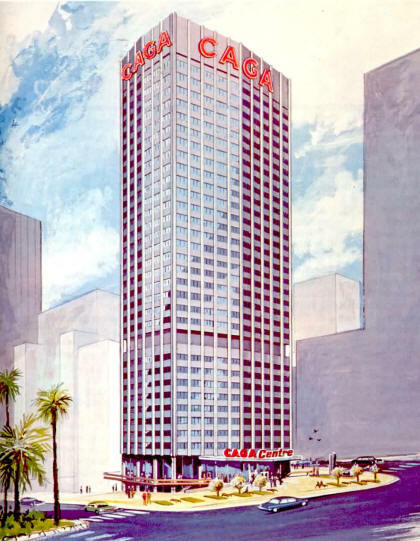 Annual Gathering at the Rugby Club, Crane Place, 31 Pitt Street Sydney. 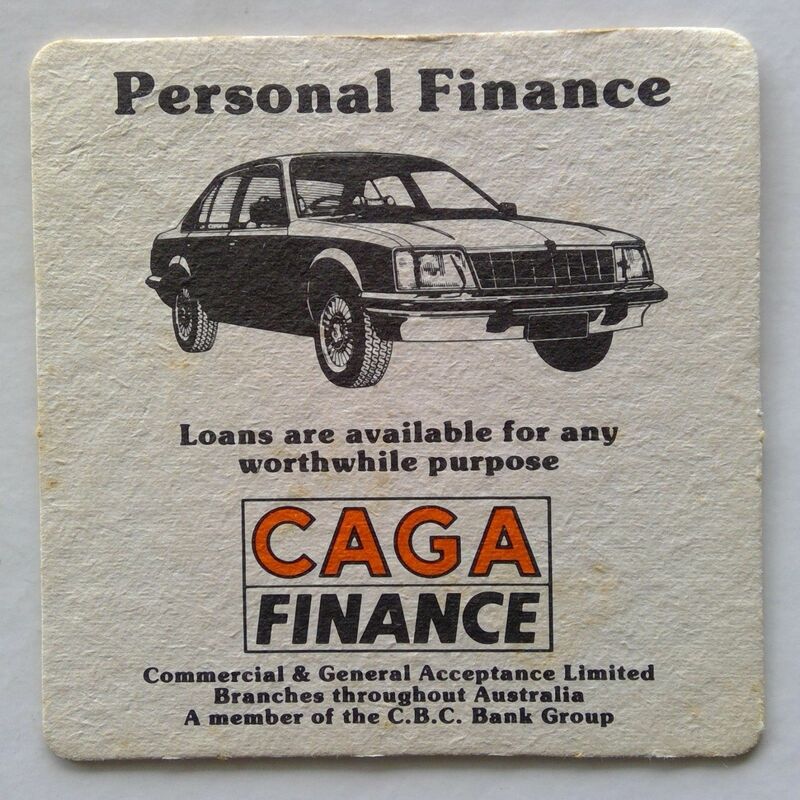 1958 May 29 SMH reported allotment of CAGA shares "like a superior kind of lottery"
See under "Branches" in various states for CAGA offices locations and photos. 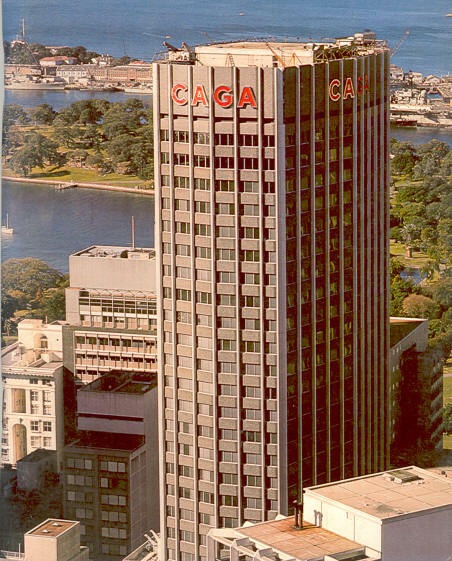 CAGA offices were in this building until erection (on the site previously occupied by The Metropole Hotel) of the 40 level CAGA Centre building bounded by Bent, Phillip and Young Streets (from Current Accounts January 1976 first four pages) . 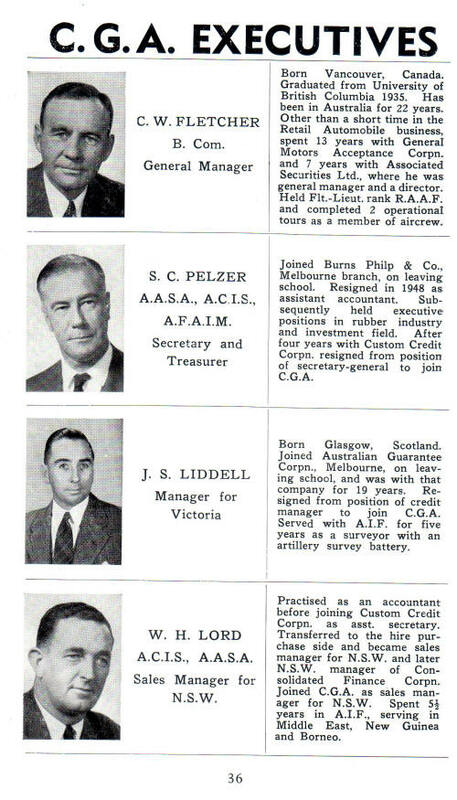 1960 A. Gittings appointed Manager, Kent & Druitt Sts (from Current Accounts January 1961 Pg 34). 2008 Bounding Bent, Phillip and Young Streets on the site of the Metropole Hotel of 1891. 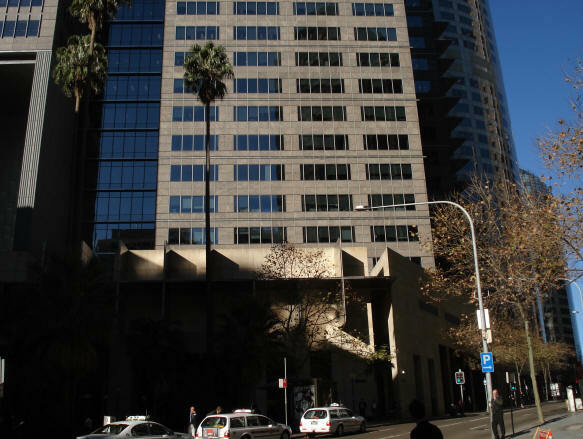 2008 photo of the corner where CAGA Centre and 44 Young Street branch stood. 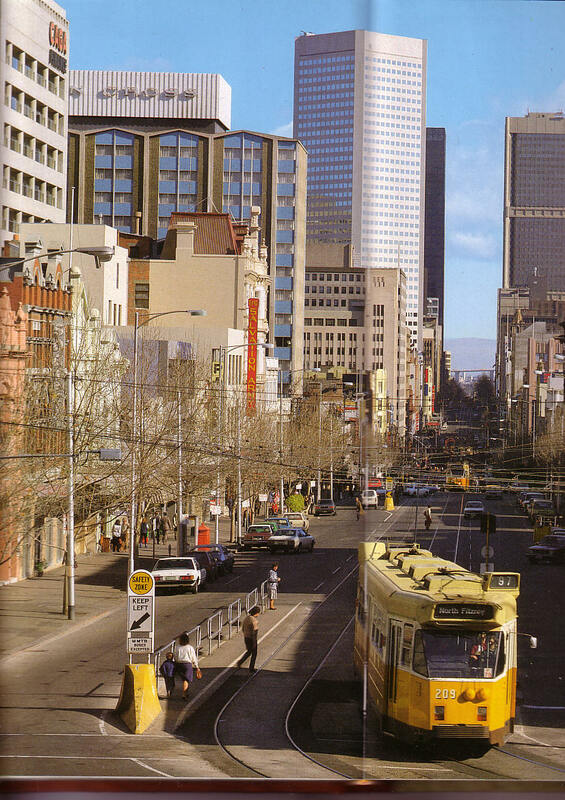 Bourke Street CAGA Melbourne, front left, with 500 Bourke Street in the background. 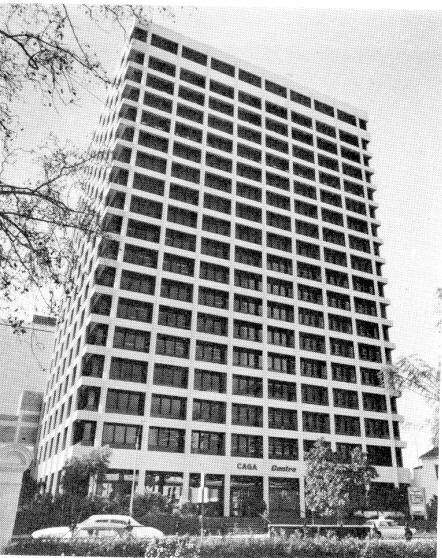 1977 1978 photo (from Current Accounts January edition).